This paper presents an overview of IBM System i high availability to companies that are beginning to explore this powerful business continuity technology. 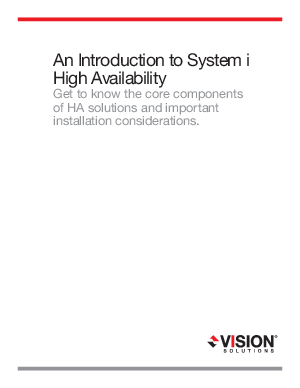 The critical components of high availability solutions are detailed in this paper, including data replication engines, system monitors, role swap capabilities, and the importance of autonomic processes. Also provided is information on the cost of planned and unplanned downtime, and a brief overview of disaster recovery strategies.